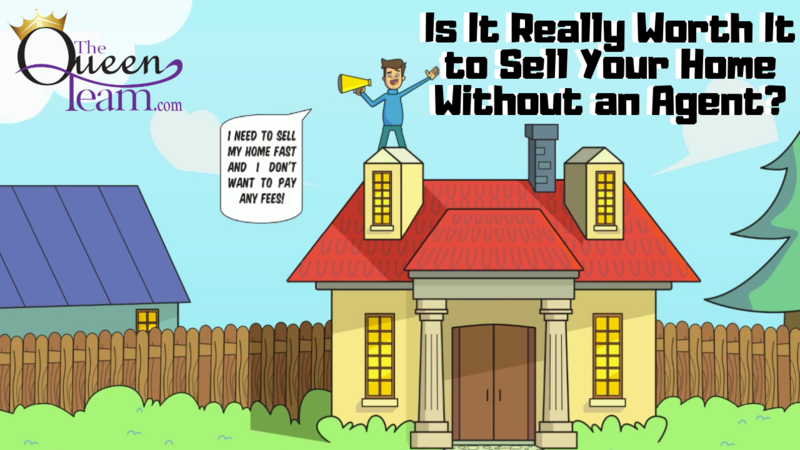 Is It Really Worth It to Sell Your Home Without an Agent? Thinking of selling your home on your own to dodge the cost of a real estate agent? These home sale facts will make you think twice about that. There are too many people to negotiate with: If you sell ‘For Sale by Owner’ (or FSBO), you’ll have to negotiate with a myriad of people on your own, including the buyer who wants the best deal possible, their agent, the home inspector (who works for the buyer), and the appraiser, especially if the home’s value comes into question. Exposure to potential buyers: Studies have shown that 89% of homebuyers look for homes online compared to just 20% who look at printed newspaper ads. Most agents already have an Internet marketing strategy in place to sell your home; simply putting your own house on Zillow doesn’t mean you know how to market a property online! 89% of homebuyers look for homes online compared to just 20% who look at printed newspaper ads. Selling FSBO online has become increasingly more difficult: The amount and intensity of paperwork involved with selling a home has increased dramatically as industry disclosures and regulations become mandatory. The is why—according to the National Association of Realtors—the number of people selling their home FSBO has dropped from 19% to an 20-year low of just 8%. You net more money when using an agent: Many sellers believe they’ll save the cost of a real estate agent’s commission by selling on their own, but fail to realize that people looking at FSBO homes are also people who believe they can save the cost of a commission. The buyer and the seller can’t both save the commission. Studies have shown that the median sales price for FSBO homes is $210,000 while the median home sold by an agent sells for $249,000. That doesn’t mean the agent can always get $39,000 more for your home, but that the people who sell FSBO are more likely to put themselves in a lower price point.